At Baselworld 2016 Romain Gauthier will unveil the Logical One in titanium, a marginally more accessible version of his top of the line timepiece equipped with a constant force mechanism. 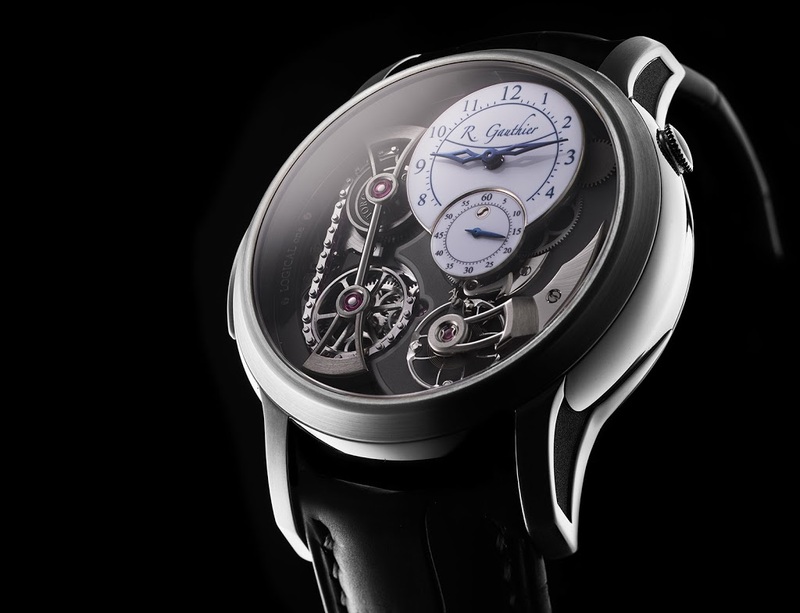 First introduced three years ago, the Logical One is Romain Gauthier‘s flagship timepiece, equipped with an unusual chain and fusee mechanism. Originally available only in precious metals, the Logical One will make its debut in titanium at Baselworld 2016, rendering it slightly more affordable. Visually and technically identical to the precious metal Logical One, the new titanium version differs in case material and colours with the movement finished in dark grey. Two dial options are available: vitreous enamel in black or white, or a black clous de paris (hobnail) guilloche dial. One of the oldest types of constant force mechanism, the chain and fusee has been reimagined in the Logical One. A short chain wrapped around a snail cam is the key innovation, replacing the traditional cone that uses the principle of leverage to even out the power from the mainspring. Another novel feature of the Logical One is the button winding – pushing the button at nine o’clock winds the watch, and it takes 40 actions to fully wind the mainspring which has a 46-hour power reserve. 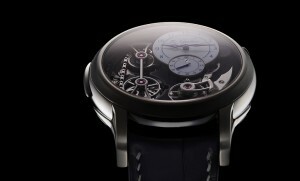 For a more detailed explanation of the Logical One, read our in-depth coverage of the watch at its launch. 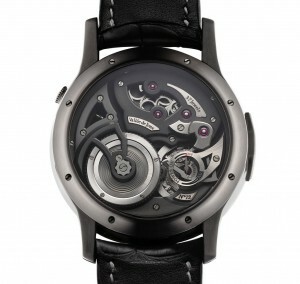 Pricing The titanium case is 43 mm in diameter and a substantial 15 mm in height. The Logical One in titanium costs SFr98,000 with the hobnail guilloche dial, while the enamel dial version is SFr102,000. Prices are before taxes. 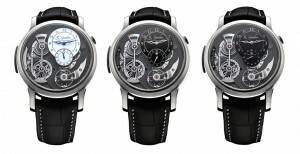 Romain Gauthier has just unveiled his second wristwatch model, the Logical One.